Health and wellbeing start in your mouth which is why Susquehanna Dental Arts has been a holistic dental practice since the mid 1990s. We’ve seen the dangers of amalgam fillings, and we are concerned by some of the toxins commonly used in dental materials. Holistic dentistry ensures patients are cared for with a long-term commitment to their health and features several other additional benefits as well. Our blog today aims to help identify a few of the benefits of choosing a holistic dentist as opposed to just your average dental office. Holistic dentistry looks at more than just your oral health – Your overall health and well-being can help us determine the best treatment option for you. What is good for your mouth may not necessarily be good for the rest of your body. Protecting your body’s natural balance is critical since poor oral health can lead to poor physical health. Did you know untreated tooth decay and gingivitis can lead to other complications such as root canals, tooth loss, and even cancer? It can help correct previous harmful dental treatments – If you have amalgam or silver fillings in your mouth you should be aware that these fillings release harmful, mercury-laden vapors into your mouth regularly. As one of the few family dentists in Central PA who offers safe removal of mercury, you can remove those old harmful fillings and have them replaced in as safe an environment as possible without being exposed to dangerous vapors. 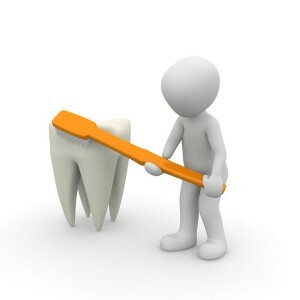 A holistic dentist only uses the safest materials – Materials used by a holistic dentist are free of toxins and we refuse to use any treatment which could be harmful to your health. By using the least invasive treatments we also cut down on your recovery time so you can get back to being yourself as soon as possible. If you’re not familiar with holistic dentistry we encourage you to read more on our holistic dentistry page. Your health should not be compromised and that is the core belief behind a holistic dentist office like Susquehanna Dental Arts. Posted in Amalgam, Informational and tagged amalgam fillings, holistic dentistry, oral health, safe dentistry on February 2, 2016 by admin.